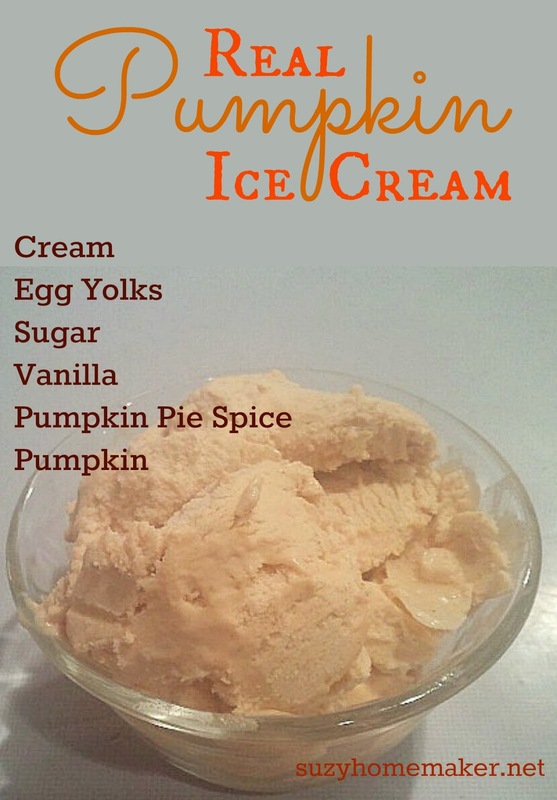 Since pumpkin season is now upon us, and I am in the midst of my Real Food ABC's, I wanted to include a "real food" pumpkin recipe. Although ice cream is more of a summer treat, I don't deny myself some at other times of the year. And of course, walking in to a grocery store, the freezer aisle has an endless amount for sale. 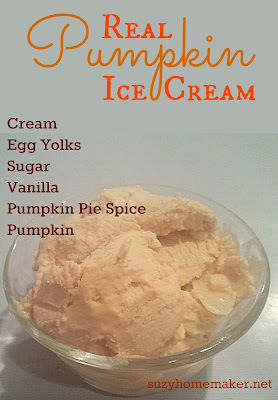 The other day at the store I noticed some seasonal pumpkin ice cream available. As I often do, I had to turn it over to look at the ingredients. 19 ingredients in the store-bought version. And although not all of those ingredients are weird and/or scary, there are still a lot of them. 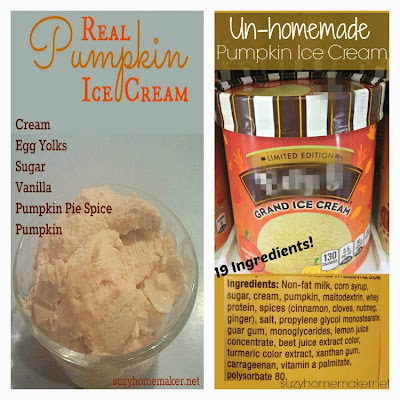 Especially when you compare the ingredients in the homemade version vs the un-homemade. You can still have a yummy real food treat and avoid the over-processed products by making things at home. A special thank you goes out to my sister. She actually made the ice cream for this post and photographed it for me. She used her KitchenAid Ice Cream Maker Attachment . (affiliate link) The recipe also came from KitchenAid.